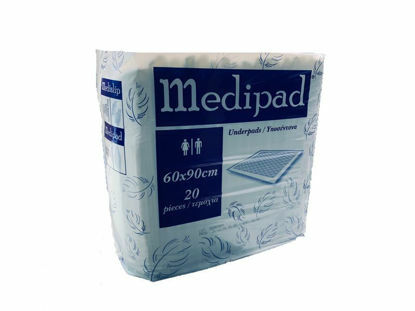 Medipad Underpads 60x90 waterproof, absorbent, to ensure cleanliness, hygiene and comfort in incontinence. In a package of 20 pieces. 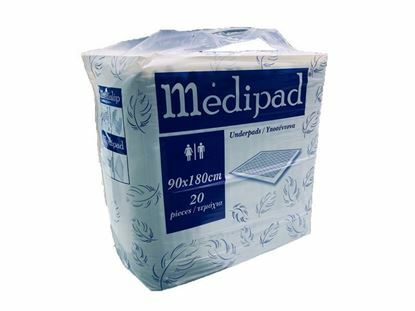 Medipad Underpads 90x180 waterproof, absorbent, to ensure cleanliness, hygiene and comfort in incontinence. In a package of 20 pieces. Medislip Adult Diapers Medium No.2,inconspicuous, suitable for moderate and severe incontinence problems, in a 30-piece package. Medislip Adult Diapers Large No.3,inconspicuous, suitable for moderate and severe incontinence problems, in a 30-piece package. Medislip Adult Diapers Extra Large No.4,inconspicuous, suitable for moderate and severe incontinence problems, in a 30-piece package.